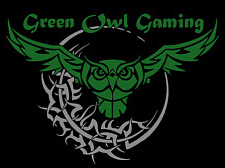 Green Owl Gaming is a community outreach program designed to give our youth something to do. An outlet for fun in a safe environment. Our current location is in the small town of Friday Harbor, situated on San Juan Island in Washington State. It’s a wonderful and very safe town, but sadly often when kids grow up in a small town they feel there is nothing to do and tend to get into trouble. Our goal is to keep them off the streets and out of trouble. Many times you will hear the locals say “There’s nothing for them to do here”. Our goal at Green Owl Gaming is to change that. We want to create a space that they will want to come to and hang out in. We want to inspire socialization and creativity. We at Green Owl Gaming are committed to providing a safe and fun social atmosphere. We are local and family friendly but are more focused on the youth of the island and helping to keep them away from negative influences like bullying, drugs, alcohol, partying and keep them out of trouble. We provide a space with lots of fun things for them to do. We have a zero tolerance policy for drugs, alcohol and bullying and have invited the local law enforcement to come and stop by weekly, say hi and check things out to assist with that. We are trying to be a beacon of light in this community. We have custom built tables for playing games like Warhammer, Dungeons and Dragons, Magic the Gathering and Classic games like Monopoly, the Game of Life, Risk, Scrabble, Checkers, Chess and many many more. We currently have the space and are working on getting video game systems like Xbox 360, Xbox One, Playstation 3 and Playstation 4 and the tvs for them. We also have an HD projector and hold movie nights. Our goal is to also have Pool Tables, Foosball, Air Hockey, Ping Pong and even some classic Pinball Machines. We just opened our doors on July 5th 2014 and are currently open on Saturdays, Sundays and Mondays from 10 am to 10 pm. Our goal is to be able to be open 7 days a week with those hours. We also plan to hold movie nights with an HD projector on a large screen with surround sound, family game nights with an assortment of board games and even creative fun things like dressing up as a favorite game character with prizes. We just create a fun and safe atmosphere for anyone who enjoys playing games. When the school year starts we also want to introduce a student work program where we will be having students come in and work at the center. Our goal is to give them real world work experience, to help them learn responsibility, give them a sense of community and accomplishment and help them learn the benefit of helping others. It will enable them go have something really great to put down on their resumes and are working towards being able to present them with them scholarships for college or trade schools. We are also committed to being Green and saving the environment. That is the “Green” in Green Owl Gaming. We recycle as much as possible, try to conserve water and have been purchasing the most energy efficient equipment that we can. We have also been working on outfitting our entire center with energy saving LED lighting. It’s a big job and the LEDs are a little more expensive in the initial cost. So far this has all come out of pocket, so it has been slow. But we have 5 rooms complete so far, and with all of those lights on they are only using 160 watts of electricity. That’s 5 rooms completely lit up and using less energy than many use in just one fixture. Once we get the place fully outfitted we will be able to have every light on, including bathroom and storage, and still be using less than 400 watts through lighting. We also hope to get some solar panels eventually to help as well.